How to watch Indiana Jones and the Last Crusade (1989) on Netflix Argentina! 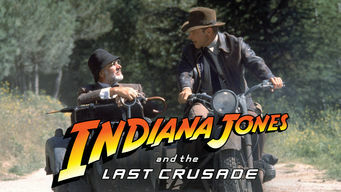 Yes, Indiana Jones and the Last Crusade is now available on Argentine Netflix. It arrived for online streaming on October 7, 2017. We'll keep checking Netflix Argentina for Indiana Jones and the Last Crusade, and this page will be updated with any changes. Accompanied by his father, Indiana Jones sets off on his third adventure to explore the cradle of civilization on a perilous hunt for the Holy Grail. This time he's after the Holy Grail. But the Nazis and snakes are back, and his dad's not making things any easier.